All measurements are in mg/L aka parts per million. * These figures were not included on the report we received. You can also go to your local water system and ask for a copy of their latest analysis. It may help to tell them that you are a homebrewer and are just looking for the water’s mineral content. 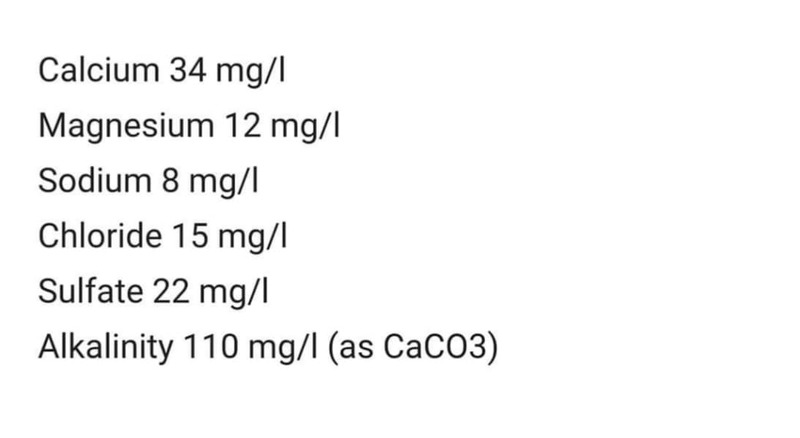 Please note: There are a lot of factors that go into the amount of minerals in municipal water. Different wells will give different readings, sometimes dramatically so. Use these as a starting point. 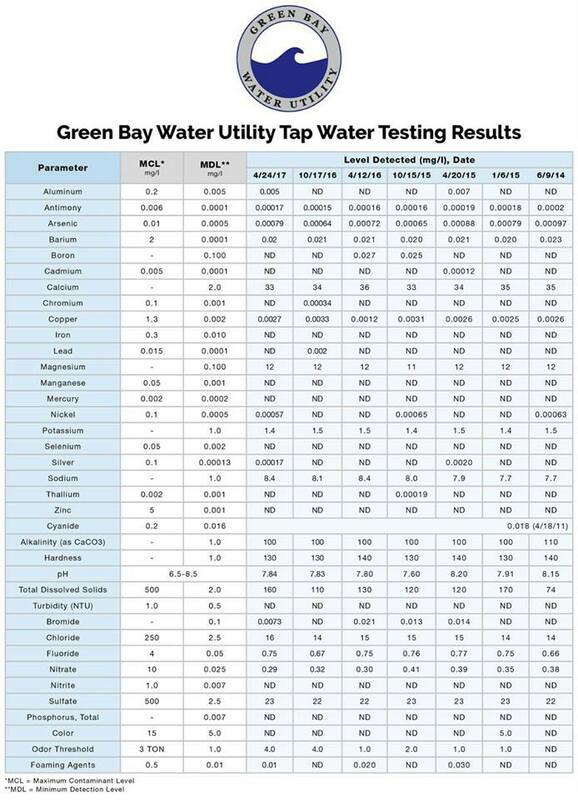 In general, municipal water in Northeast Wisconsin works very well for brewing most beer styles.